Dean Foster conducts cross-cultural training worldwide and consults on intercultural business issues with most Fortune 1000 companies in the United States and around the globe. 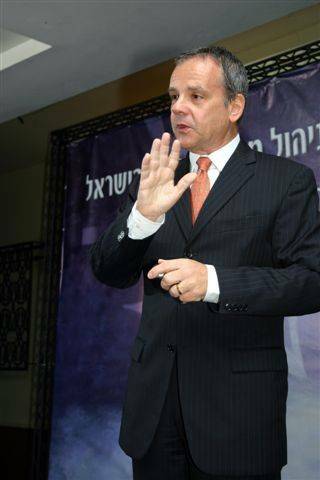 For over twenty years, Dean has played a major role in the development of the intercultural training field: formerly he was founder and Managing Director of Berlitz Cross-Cultural Worldwide, Vice President GMAC/Windham Intercultural, and founder of Cross-Cultural Consulting Associates, New York. Dean is a frequent guest on CNN, CNBC and other TV and radio shows, and keynotes at major international professional conferences. Interviewed in major publications, such as Newsweek Magazine, the New York Times, USA Today and others. Dean is also a frequent Guest lecturer at Harvard Business School, New York University, Columbia University Graduate School of Business, and other educational organizations. Dean has written many articles, as well as the four-part Global Etiquette Guide book series (John Wiley & Sons), which includes The Global Etiquette Guide to Europe, the Global Etiquette Guide to Asia, the Global Etiquette Guide to Latin America, the Global Etiquette Guide to Africa and the Middle East and the book Bargaining Across Borders (McGraw-Hill), which the American Library Association voted as one of the top ten business books of 1994. Dean is a Contributing Editor for National Geographic Traveler, writing the CultureWise monthly column, Contributing Editor for American Express Executive Travel Magazine, and Senior Contributing Editor for the International webpage of Monster.com. Dean is adjunct Professor at the American University, Intercultural Management Institute, Washington, D.C.
Dean received his M.A. and is a PhD candidate in Sociology from the Graduate Faculty of the New School for Social Research, New York City.